In line with my previous blog post Baker Technology Limited - Better Tomorrow, Baker Tech announced a set of poor 2Q2014 results earlier this week, due to lower revenue and absence of divestment gain from Discovery Offshore (DO) Rig last year. This is due to absence of S$8.9m divestment gain on DO last year. The company is experiencing higher payroll costs and higher operating expenditure as a result of newly incorporated subsidiaries and new premises. Forex loss of S$0.7m recorded due to weakening of USD against SGD. Shareholders’ funds down 15% as at 30 June 2014 due to payment of dividends of $45.2 million to shareholders. This is partially offset by proceeds from the conversion of warrants and retained profits for the period. Financial position is strong with $153.9 million in cash and short-term deposits with zero gearing. Note however that cash position drop from 205.9m reported as of End13, likely due to investments on new subsidiaries. Net order book healthy at US$61m as at Jun14, with projects expected to be completed within the last 12-18 months. The company also received Singapore corporate awards 2014 for best managed board – gold, and best annual report – silver, for companies with less than S$300m in market cap. 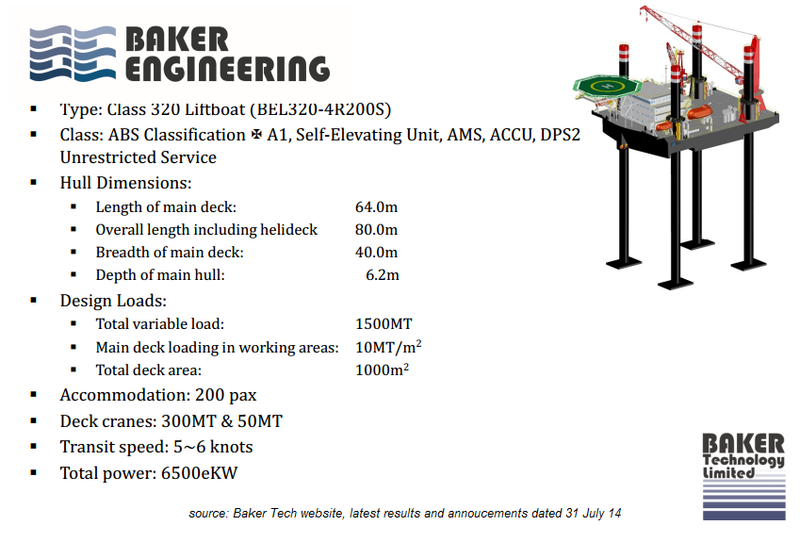 New subsidiary Baker Engineering has launched its new liftboat business by completing its new in-house design. Construction of liftboat will be commencing in Baker’s Singapore yard for sale or ownership and charter with or without partners. Without deviating from my views in Mar blogpost, near term business prospects are very challenging due to competition on equipment business. This will thin revenue and profit margins and worsen without any contribution from divestment gains. The jackup rig market near term prospect is also challenging with Keppel and Sembcorp rig order intakes reducing and probable over-supply of rigs in the near term as a results of IOC plan reduction in Capex. Refer to my blog post Keppel and Sembcorp Marine Hit by Slow Orders - Chinese Competition. In my last post on Baker Tech, I estimated that excluding divestment gains, profits estimated to be S$12-15m range. 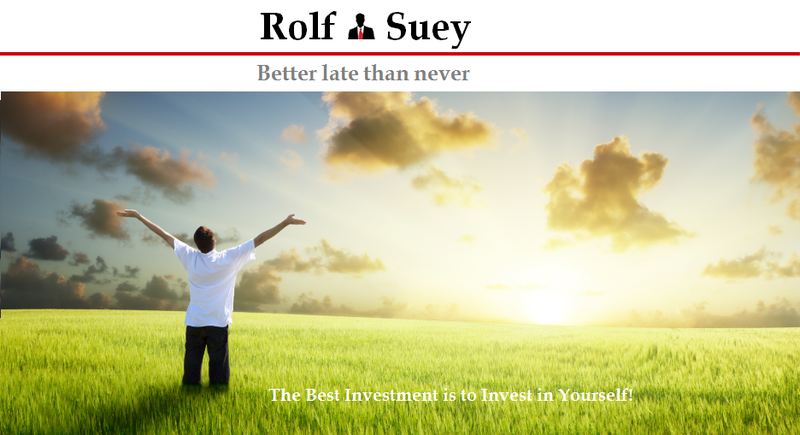 From its latest 1H14 results, estimated annualized profits will be 11.4m. The cash and equiv of S$154m as of End 1H14 translate to S$0.17 per share. At current share price of S$0.27 with a market cap of S$244.4m, a very conservative/rough estimate of the FY14 PE including cash on hand, is ~ 7 to 8x. This PE estimate still coincide with industry standard. Excluding cash, PE estimate is 21x. In the long term (expect 2016 and beyond), the success of the company may fall on the shoulders of its new Liftboat division. If successful, not only will the liftboat division contribute positively to earnings from charter or divestment, it will also mean more revenue for its very own Sea Deep equipment business of Jacking system, cranes, skidding systems, fabrications etc. While Liftboat market seems rather unpenetrated and very promising in this part of the world, we are starting to see increase congestions from more and more players. Also refer to my blog post on Liftboat below.